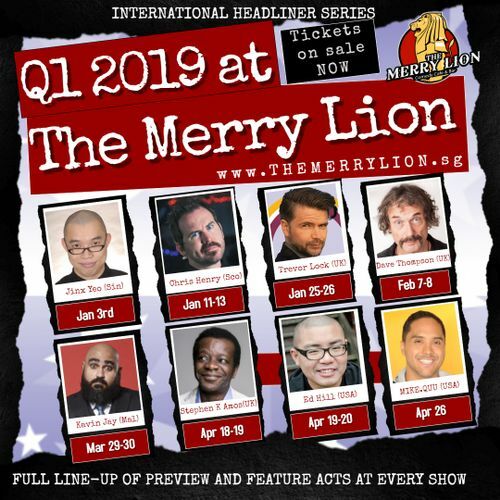 Welcome to The Merry Lion – Singapore’s only full-time comedy venue. 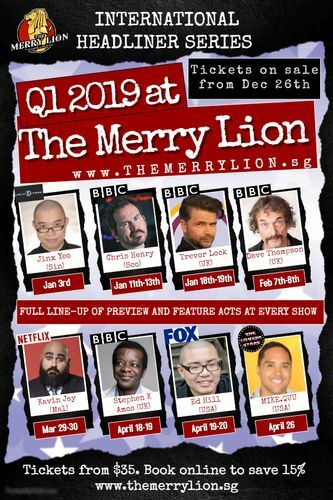 The Merry Lion is an authentic comedy club right in the heart of Singapore’s downtown. We pride ourselves in offering you a world-class comedy experience with a unique Singapore accent. Seats are limited in our intimate comedy setting so book fast. You will Roar! with laughter at The Merry Lion. The shows will also feature a full line-up of preview and feature acts. Running time approx. 2 hours with a break. Book online now. Save 15%. Pre-order your drinks and save 10%.